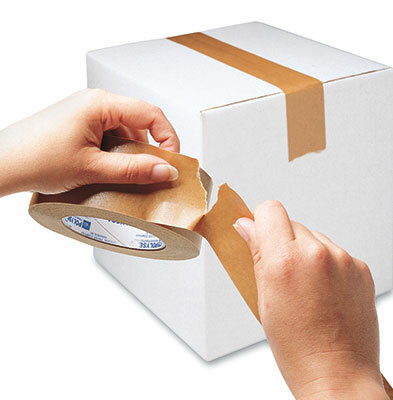 Self-stick, flatback tape tears by hand for quick, easy application. No dispenser or water required. Aggressive natural rubber adhesive forms a tight seal and holds up under wet and cold conditions. USPS® and UPS® approved.